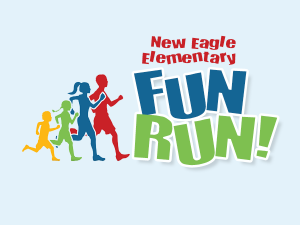 The 2019 New Eagle Fun Run will be held on Friday, April 26, 2019 at 3:20pm (rain or shine!). Funds raised by the Fun Run will benefit FLITE, T&E Cares, and Alex’s Lemonade. This fun event is open to all New Eagle students, alumni, siblings, staff, and parents. Registration for the Fun Run is open now! For complete details, or to register, visit the Fun Run page! To make this event a success, we are in need of volunteers! Since all children must have a parent present at the event – why not volunteer? This is such a fun event…be sure to be a part of it!!! See the sign-up sheet for volunteer opportunities.